This is one of the main questions I get when talking about doing business on social media: What Social Media Platforms Should I Be Using For my Business? And it’s not all about marketing. The whole point of social media for your business is to gain the KiLT factor (Know, Like Trust). The only way someone is going to buy from you nowadays is if they trust you and social media is the best place to gain trust: Why? Because that’s where the eyeballs are. If someone sees your product, service or company the first thing they will do is Google you, your product or company to find out what others are saying about you. If you’re not on social media, guess what, that trust factor is not there, simply by your absence on social media. This goes without question that every business should have a business page set up on Facebook. With more than 1.94 billion monthly active Facebook users for March 2017, Facebook comprises of the largest blend of demographics of any social media platform. It provides an extraordinary medium for your business to connect with your prospective customers all around the world. And from an advertising perspective, it’s the easiest to manage and allows for the best possible targeting. I use Facebook every single day and have found it the best platform to use for lead generation, for growing followers, for doing two daily live shows, and for building that KiLT factor. Youtube is owned by Google which means when it comes to SEO your videos are more likely to appear in the search results for your key phrases. With 700 Million monthly active users it’s hard to ignore Instagram. Instagram may best be used as a brand building tool if you have a decent following and post beautiful images or videos, but if you plan to use it as a marketing tool, you will need to devise a strategic plan to capitalize on the700 million users. One way to do this is by using their live video feature , which, like Facebook live is growing in popularity. For me twitter is a hard one to recommend, however I choose to have a presence here simply to add images, videos and blog posts. I don’t actively engage on twitter. However, having said that I believe Twitter will come back bigger and stronger in 2017 as they re-assess their business model. Twitter is also an amazing way to get customer feedback and to help you with customer relations. Twitter’s value lies in its ability for your posts to go viral: the more people share your posts and “retweet” your content, the more followers you will attain. Hashtags make a big difference in building momentum for your posts, so pay attention to what is trending today and include relevant hashtags. This is another social media platform I don’t spend of a lot of time on however I recognise that Pinterest can bring a lot of traffic to your blog, so I use it and pin every blog post header image onto Pinterest. It’s quick and easy to grow your followers if you want to. If your products include fashion, art, home decor, food, or anything else that you can create beautiful images of, Pinterest should be your go-to destination to drive targeted traffic to your site. And with the Pinterest buy button, you can make it easier than ever to make a purchase with a click of a button. I have to admit to liking Linkedin more and more over the last few months. The reason for this is their great article content which is easy to red on a mobile phone. This is on the the apps I open up whilst out and about and killing time on a train, waiting in line for anything. Snap chat is another social media platform I have not spent a lot of time on, however it is an important platform to be on, depending on the demographics you are looking to target. 60% of snapchat users in the U.S. are under the age of 24 and with more than 100 million users consuming 30 minutes of content every day, it’s a goldmine for businesses targeting millennials. 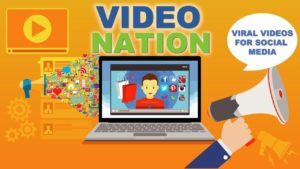 Companies creating unique video content, releasing behind the scenes footage, new collections, or conducting interviews with prominent figures can capitalize on this free marketing opportunity and gain a loyal following. What platforms are you on? What platforms are you currently on and how do you find them useful for your business? Let us know in the comments below.